From the time you drive on campus, you will find greeters ready to help you. Shuttles are available to take you from your car to the front door of the church. You will also find handicapped parking near the front and rear entrances to the church building. 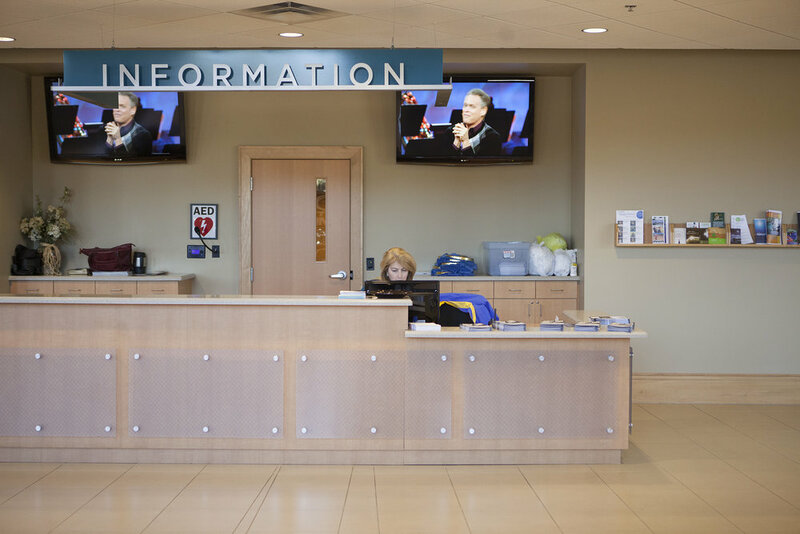 Stop by any of our Information Desks around campus to learn more about GFBC. Our knowledegable staff will be happy to assist you during your visit. 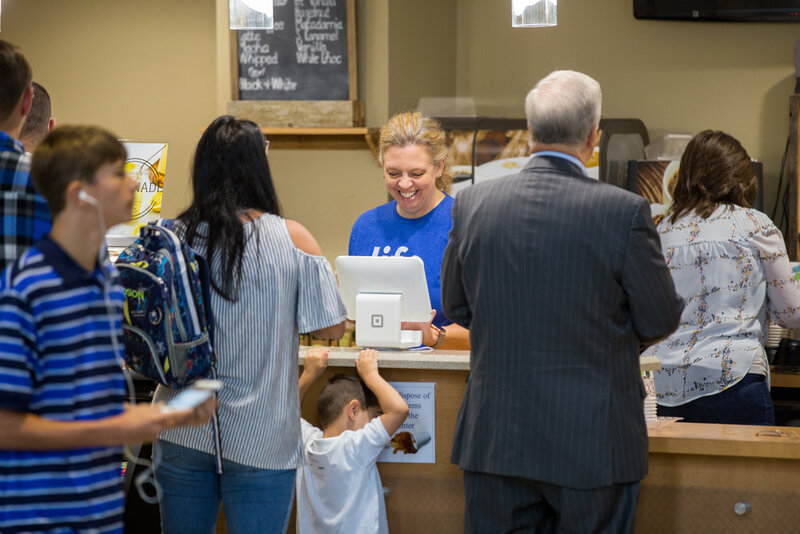 Between services drop by the Grounds for Missions Cafe` and enjoy beverages and light snacks. Profits from the Cafe` go to various missions projects. If you have children that are babies through 5th grade, please use the Kids Kingdom entrance. As you enter, visit the Information Desk to register and to receive your security ticket. Background checks are performed on all staff members and volunteers. On Sundays, students in grades 6-12 attend the 9:15 AM worship service. At 10:50 AM, they meet for lifegroups in the Celebration Room (1st floor). On Wednesdays at 6:30 PM, students gather in the Celebration Room for their own time of community. We offer many lifegroups based on age and stage of life. Classes are offered at 8:00, 9:15 and 10:50 AM. Stop by our Information Desks to learn more.